Post-election, I am trying to think happy thoughts. Comfort food falls in that category. I grew up eating a fair amount of cabbage, although what all it was in I can't remember. I can remember eating homemade sauerkraut, and eating around the core of the cabbage after my mom sliced off the leaves. But I didn't use cabbage once I was on my own, because I didn't really know how. I decided I should learn to cook with cabbage, so I've been using it in some soups. 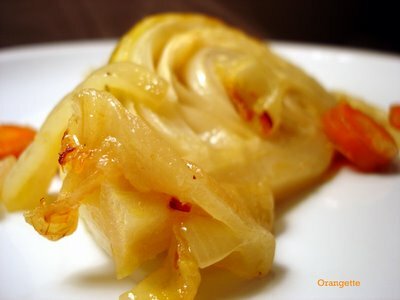 I also stumbled across this delicious recipe for braised cabbage from Orangette. Enjoy!